If you live in or near London, don't forget to put the Telegraph Ski & Snowboard Festival in your diary taking place at Battersea Park, Battersea Evolution between the 25th -28th October 2018. Balkan Holidays are proud to offer you the best value and widest choice of skiing and boarding holidays to Bulgaria, Slovenia and Romania. 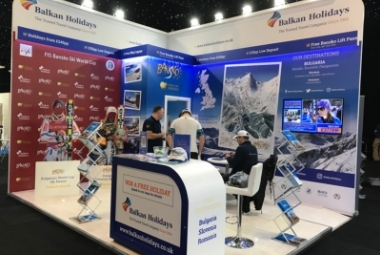 Our holidays start from £244pp, ski packs from £123pp and a lift pass from £94pp plus we have special show discounts so come and visit us on stand 306. So why not come along and join us by booking your tickets in advance, also don't forget to check out our great value Bulgaria ski holiday deals on sale now!